Welcome to your spacious Layton Lakes home! This 5 bedroom 3 bathroom home located on a large, north/south facing lot. It is an SRP Powerwise home. Home has been freshly painted, w/new, wood look ceramic tile that warms the downstairs space. 1 bedroom & full bath downstairs. Gourmet kitchen features granite counters, backsplash, SS appliances including refrigerator & overlooks the backyard & family room. Upstairs loft & master bedroom plus 3 other bedrooms. Upstairs bathroom w/double sinks. Not only that, the laundry is located upstairs for total convenience. The community features parks, trails, playgrounds, tennis court & even a splash pad. Located near two great malls, Chandler and Santan, as well as food & entertainment options within a few miles. Enjoy all Gilbert has to offer. Directions: South on Lindsay to Layton Lakes Blvd., left onto Layton Lakes Blvd, right onto Kissimmee Dr, and then immediately turn left onto Zesta Ln to home. Approximate size: 6846.00 sq. ft. Please, send me more information on this property: MLS# 5901799 – $379,000 – 896 E Zesta Lane, Gilbert, AZ 85297. 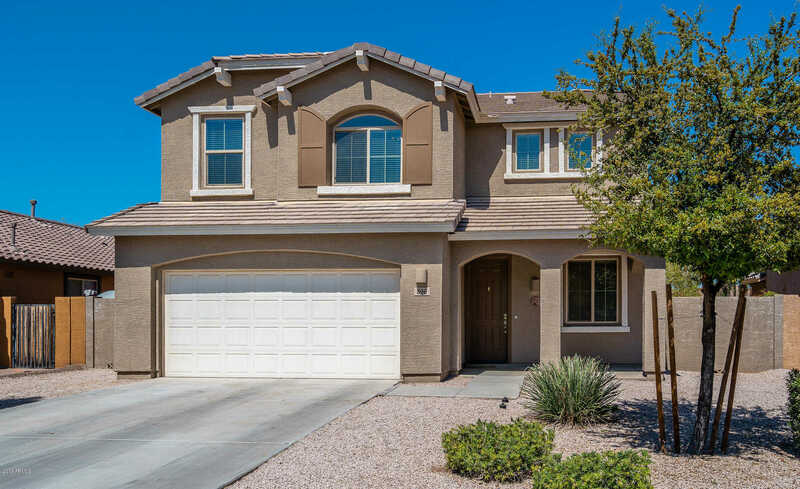 I would like to schedule a private showing for this property: MLS# 5901799 – $379,000 – 896 E Zesta Lane, Gilbert, AZ 85297.